Please feel free to leave us a comment here on this page if you liked your stay with us. We stayed in this lovely apartment for 2 nights in June 2015. 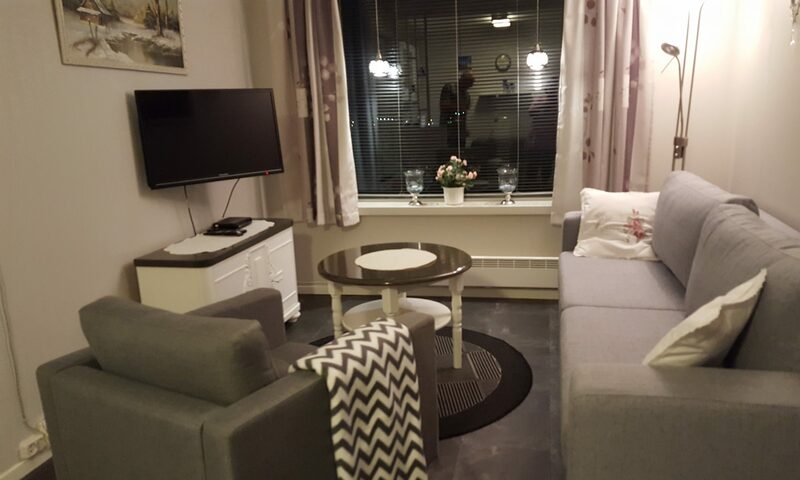 The apartment has everything; living room with open kitchen (fully equipped), bedroom and very nice bathroom – everything brand new and clean. Even a small terrace outside – and great view of the sea. We have just stayed 6 nights at this apartment and we found it everything we could have wanted and more. Very friendly hosts made our stay In This spotlessly clean and well equipped home from home . It was a short walk up the hill to leave the streetlights behind for a clear view of the aurora and only 15 mins walk to the town centre. Everything from iron to hairdryer was there and we were well looked after by friendly hosts throughout our stay. Thank you Gunn!